August 3, 2017 – Wynn Las Vegas announces the appointment of Frank Visconti as Senior Vice President of Retail. With more than 40 years of luxury retail and hospitality industry experience, Mr. Visconti is a pioneer in master planning new retail developments and was instrumental in introducing luxury brands to Las Vegas in the early ’90s, helping reshape the city into a premier international shopping destination. In his new role, Mr. Visconti will oversee the expansion of the resort’s luxury retail offering and lead the continued development of Wynn Plaza, an expansive new 75,000 square foot complex. With its opening, Mr. Visconti will direct total retail square footage of more than 173,500, and liaise with the iconic brands that currently occupy Wynn and Encore, including Chanel, Louis Vuitton, Dior, Hermès, Loro Piana, Prada, Alexander McQueen, and Givenchy. In addition, Mr. Visconti will oversee the development of the luxury retail offering at Wynn Boston Harbor, slated to open in summer of 2019. Conceived and designed by Steve Wynn in collaboration with Architectural Digest Top 100 Designer Roger Thomas, Executive Vice President of Architecture DeRuyter Butler, and Wynn Design and Development, Wynn Plaza will play on elements of natural light and airiness, with two stories covered by atriums and a skylight rotunda that is prominently showcased in the heart of the space. The first phase will feature a newly curated collection of luxury boutiques set to debut in fall 2017, with the second and final phase debuting summer 2018. Mr. Visconti began his career at Saks Fifth Avenue before moving to Neiman Marcus, where he served as Vice President and General Manager. Hired originally by Steve Wynn in 1992 to head retail operations for Mirage Resorts, Inc., Mr. Visconti eventually assumed the role of President of Retail for MGM Resorts International, where he oversaw more than 150 stores and 200 tenants within 13 resorts. Most recently, he led the development of Crystals within CityCenter on the Las Vegas Strip, before forming his own consulting firm, Visconti Retail Group. 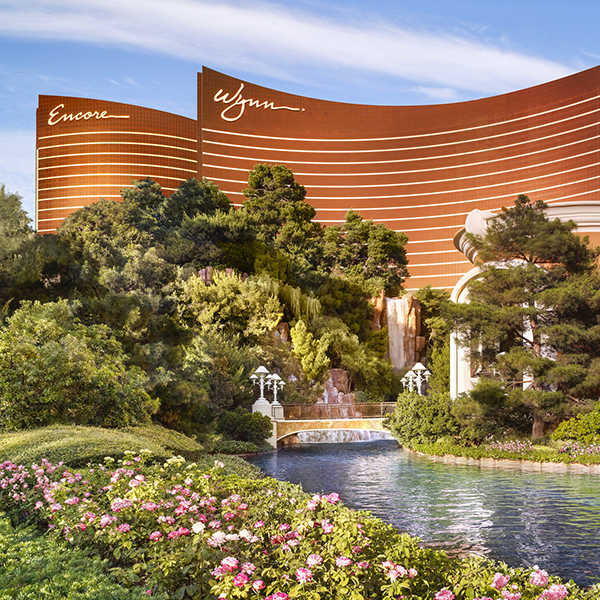 Wynn Resorts is the recipient of more Forbes Travel Guide Five Star Awards than any other independent hotel company in the world. Wynn Las Vegas opened on April 28, 2005 and has been recognized as the best resort in Nevada on Condé Nast Traveler’s “Gold List” for nine consecutive years. Wynn and Encore Las Vegas feature two luxury hotel towers with a total of 4,750 spacious hotel rooms, suites and villas, approximately 189,000 square feet of casino space, 24 dining experiences featuring signature chefs and 11 bars, two award-winning spas, an on-site 18-hole golf course, approximately 290,000 square feet of meeting and convention space, approximately 99,000 square feet of retail space as well as two showrooms; three nightclubs, a beach club and recreation and leisure facilities. A luxury retail Strip-front expansion, Wynn Plaza, is currently under construction and is scheduled to be completed by summer 2018. For more information on Wynn and Encore Las Vegas, visit www.wynnpressroom.com, follow on Twitter and Instagram at @WynnLasVegas and www.facebook.com/wynnlasvegas.